Dear Jeep, please build the Chief and take my money! It’s been two years since the Jeep design team gave us the last pair of true concept vehicles for the Easter Jeep Safari – read about my thoughts on the J12 and Mighty FC. Last year’s lifted KL Cherokee Trailhawk was cool, but I’ve been yearning for an off the wall amazing vehicle like this year’s Chief concept. The full size Cherokees, Wagoneers, and J-trucks are some of my favorite classic Jeep vehicles, so I’m especially excited to see these kinds of concepts. I’m afraid though that the Chief and J12 are giving me a false sense of hope that we may someday see the return of a true full size off-road-able SUV. 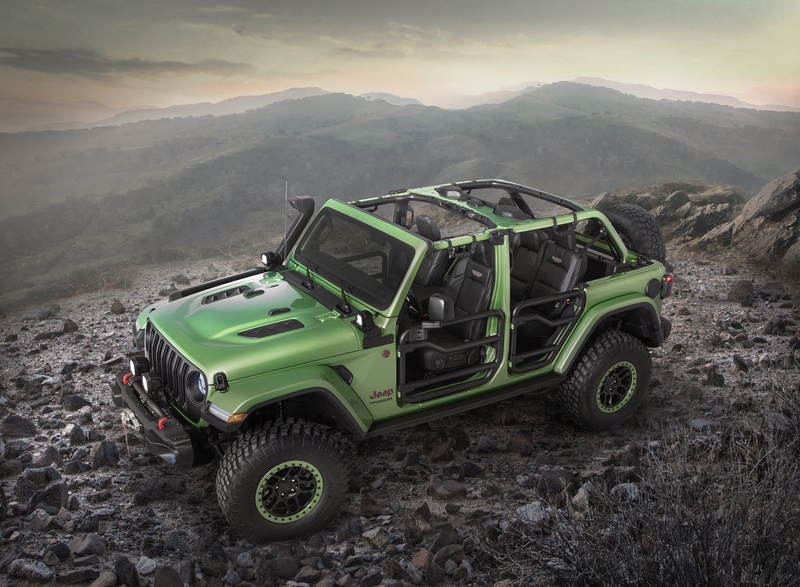 Like all of the concept vehicles that Jeep brings to Moab each year, the Chief has functioning hardware – the 3.6L Pentastar, manual transmission, locked Dana 44s, and 2 inch lift mean that this rig can actually wheel, and I can’t wait to see it do just that in a few weeks. There’s a big difference between rolling a concept vehicle chassis onto an auto show stage, and building a drivable, off-road vehicle – and I applaud the Jeep team for doing just that. And so I say to Jeep: we’re ready for a pickup truck, and a retro styled vehicle; give us the razor grille, a drop down tailgate, and steel bumpers. Give us a throwback, and take my money! 2015 Jeep Renegade – Omaha Orange spotted! These were some gorgeous concepts!! Oh gosh. I kind of need one of those! We all need one of those! Think of the gear you could haul in that thing! Oh gosh. I’d immediately go out and buy a kayak. The world would be my oyster! Not responsible for items left in Kevin's pocket. All material is subject to copyright. kevinspocket.com is not associated with any outdoor gear manufacturer, or any vehicle manufacturer covered on this site. Manufacturer images are used with permission.